Facebook's Sandberg: "We do fire people"
Why wasn’t anyone at Facebook fired over the situation with Cambridge Analytica? 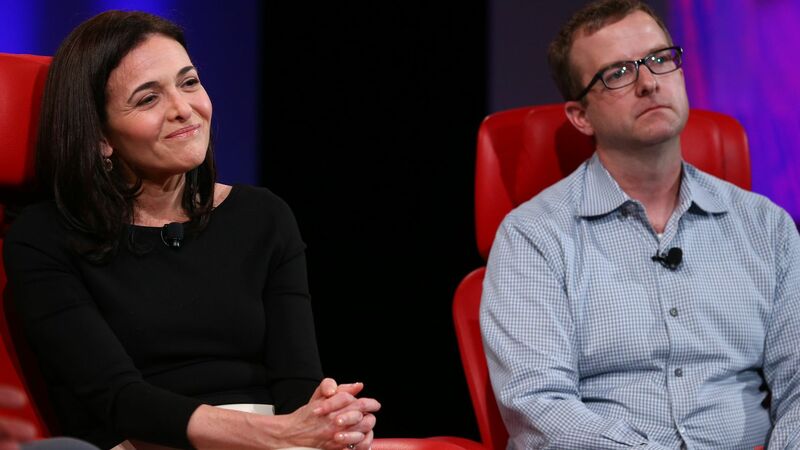 Facebook's Sheryl Sandberg took that first question on stage at the Code Conference Tuesday and replied, "We do fire people at Facebook. We don’t trot them out and make examples of them." Buck stops with Zuck: Ultimately, Sandberg said, these problems lie on the shoulders of the company's founder and CEO: "Mark [Zuckerberg] has said very clearly on Cambridge Analytica, he designed the platform and he designed the policies and he holds himself responsible." Sandberg reiterated past statements from both Zuckerberg and her that the company didn't react fast enough to problems around election interference, fake news and Cambridge Analytica's use of data: "We have said we are sorry, but sorry is not the point." She said Facebook still doesn't know what data Cambridge Analytica had because an audit of that company's files hasn't yet taken place. In response to a question from Axios, Sandberg said that Facebook didn't see evidence during the election campaign that the Trump team had a suspicious amount of data on voters during 2016 election. "Not really," Sandberg said. Asked whether Facebook would ever offer users a paid service as an alternative to its advertising model, Sandberg said: "We've looked at subscriptions and we will continue to look at them. We are committed to providing a free service. We're looking. We've always looked. But the heart of the service is a free service." She declined to comment on how far the company has gone toward designing or building such a service.